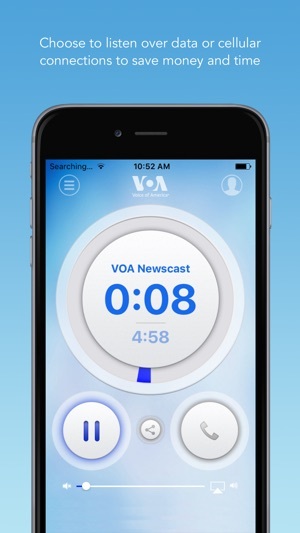 The free, *official* VOA Mobile Streamer application serves broadcast radio news in more than 40 different languages to your iPhone. 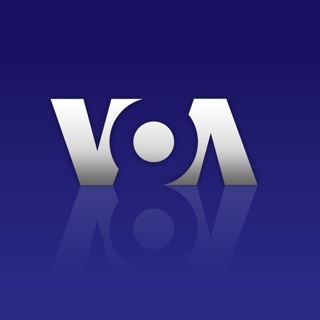 VOA (Voice of America) operates one of the world's largest international news media networks on TV, radio and digital properties with a total weekly audience of more than 200 million people in countries including Africa, The Middle East, Asia and beyond. 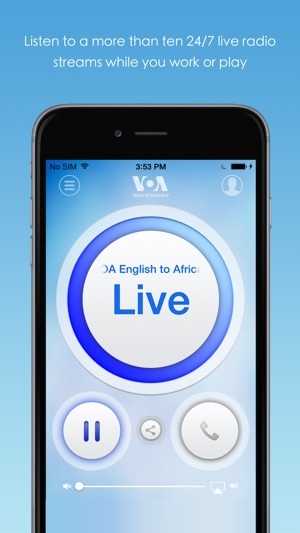 VOA produces more than 2,100 radio and TV broadcast hours of content a week and this application showcases the best of those programs. 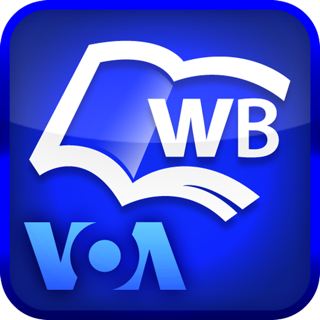 To do this, VOA employs more than 1,100 full time staff and thousands of journalists around the world, focused on countries without a free or established press or free and open internet access. 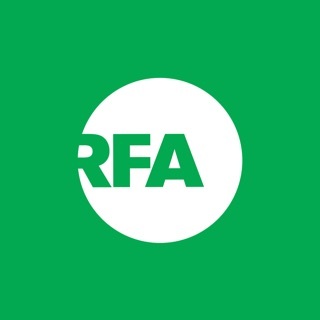 Have any questions, suggestions or problems with the app? * Thank you for your comments and feedback! Streams like a dream with my coffee and cream! 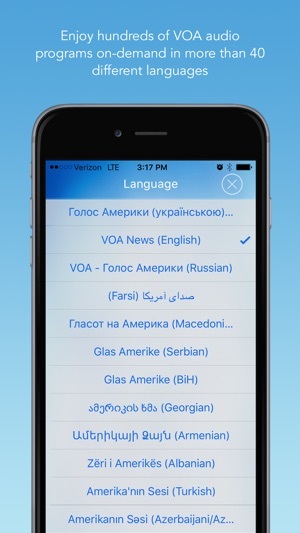 A great free app just got better with the addition of Voice of America's Near East and European languages. 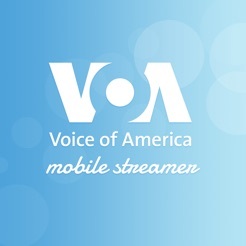 The data streaming of VOA programs sounds fantastic and the dial-up feature gives me added flexibility when I'm driving. Thank you for a wonderful app! I can listen to audio via cellular or data connection on my phone. This saves me money and time.